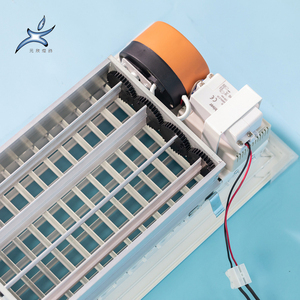 2.Machine riveted ,no solder 3.manual 5 adjustable air volume 4.the material is thick and material 5.reduce the middle price by self-sale Your inquiry and question will be replied within 24 hours. 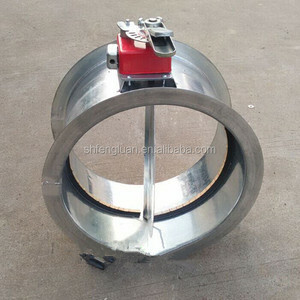 Our products include: ventilation fan, air duct, air valve, air vent, plenum chamber , muffler, hose connecter and duct accessories All our products will be provided with best quotation, excellent quality and prompt delivery. Q: What products is your self-produced9 A:Ourself-produced produce have:rectangular duct ,spiral duct ,air vent ,air diffuser ,roof turbine ventilator ,fire damper. Q :Is it possible to visit your factory9 A: It is sure. We will pick you up from the nearest airport or fast train station. Q:What's your quality guarantee9 A: 1 year since you receiveed the goods. 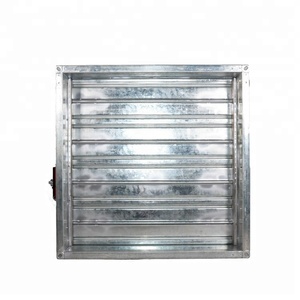 product detail: 70 degree eletric fire damper is widely used in HVAC ventilation system to prevent the fire from spreading when it is on fire. 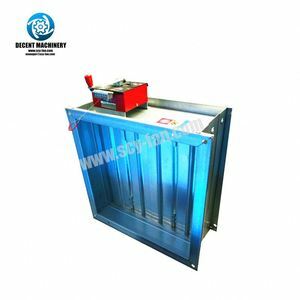 There are rectangular and round fire damper to be chosen and the sizes are also customized based on the requirements of the customers. Q: What products is your self-produced9 A:Ourself-produced produce have:rectangular duct ,spiral duct ,air vent ,air diffuser ,roof turbine ventilator ,fire damper. Our company was established in 1993, which a huge number of advanced aluminum profile production line. The demand of customers is the foundation for us to survive and develop. 99, Hualei Road, Liwan District, Guangzhou, Guangdong, China Factory Address: No. 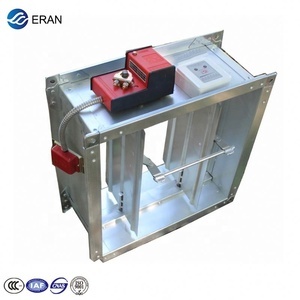 FSB-B series products can work with Opposed Blade Damper to obtain different effects of air flow. Both of them had two models: double-layer (SB-B, SB-C) and single-layer (DB-B, DB-C). Generally, for double-layer products, the short blades are in the face while long blades in the back, for single-layer products, blades are parallel to the short side. 5 YRS Zhejiang Hengsen Industrial Group Co., Ltd.
2 YRS Ningbo Flow Electrical Tech. Co., Ltd.
3. White powder-coated surface treatments to help provide excellent corrosion resistance. Q: Can you provide free samples9 A: Sample could be free, but freight collect. Q: What's the payment terms9 A: T/T 30% deposit and balance before shipment, L/C and PayPal is acceptable. 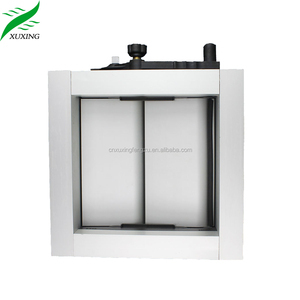 4 YRS Ningbo East Ventilation Engineering Co., Ltd.
Alibaba.com offers 1,120 motorized damper products. About 65% of these are hvac systems & parts, 1% are industrial air conditioners, and 1% are other fiberglass products. 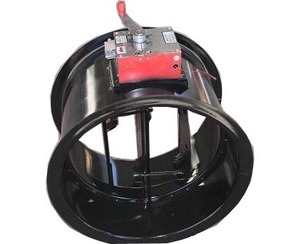 A wide variety of motorized damper options are available to you, such as hvac systems, ventilation, and air conditioning. You can also choose from free samples, paid samples. 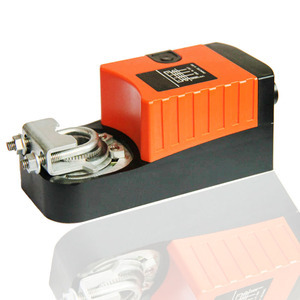 There are 1,120 motorized damper suppliers, mainly located in Asia. 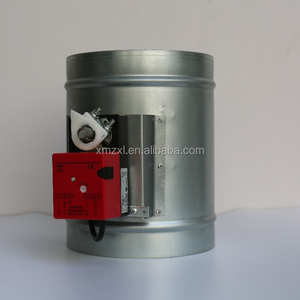 The top supplying country is China (Mainland), which supply 100% of motorized damper respectively. 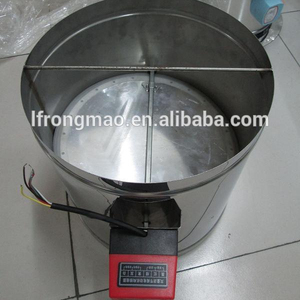 Motorized damper products are most popular in Domestic Market, Western Europe, and Southeast Asia. You can ensure product safety by selecting from certified suppliers, including 551 with ISO9001, 336 with Other, and 104 with ISO14001 certification.